The magnificent country estate of Chatsworth House hosts events year round, including an annual wedding fair in the lovely old stables courtyard venue close to the main house. 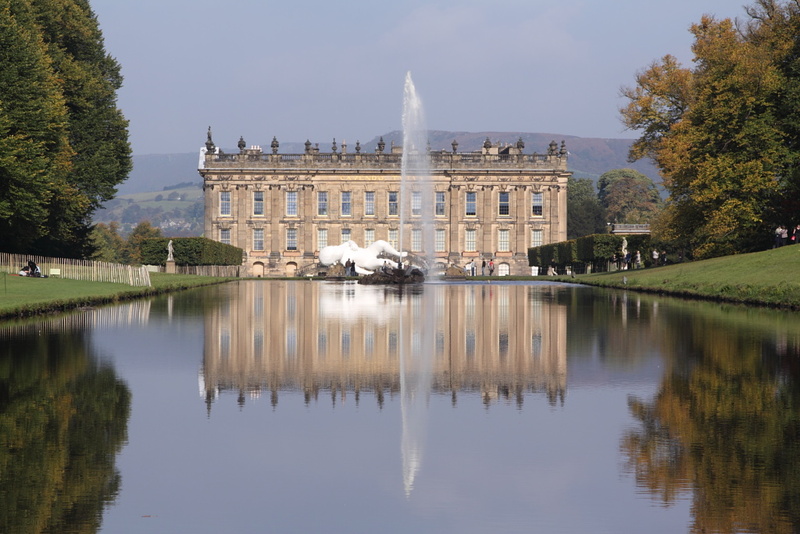 In 2016 the Chatsworth Wedding Fair takes place on the third weekend in February (20-21 February). It’s a very hospitable event, with a glass of fizz on arrival and a welcome from Chatsworth’s own wedding team. Chatsworth is a wedding venue in its own right, and you will also be able to see a range of wedding products and services from other wedding companies in Derbyshire and further afield. In a typical year this includes wedding and bridesmaid’s dresses, catering teams, marquee hire, florists, photographers and entertainers. It’s a fun event to attend which also showcases some great suppliers and should provide you with a lot of ideas for your own marriage celebrations. It’s a good source of inspiration, whether you’re planning on getting married in a grand venue like Chatsworth, or somewhere a bit less opulent! Why not stay in a luxury Peak District hotel? Located only a few miles’ drive across the scenic Peak District, Losehill House Hotel is an obvious choice of venue if you’re planning a trip to Chatsworth House, whether it’s for the wedding fair or just for an off-season visit at this time of the year. This luxury hotel in Derbyshire, UK, has everything you could wish for when it comes to a characterful Derbyshire retreat. Losehill House offers comfortable and well-appointed rooms deep in the scenic Peak District hills, with peace and quiet for miles around. 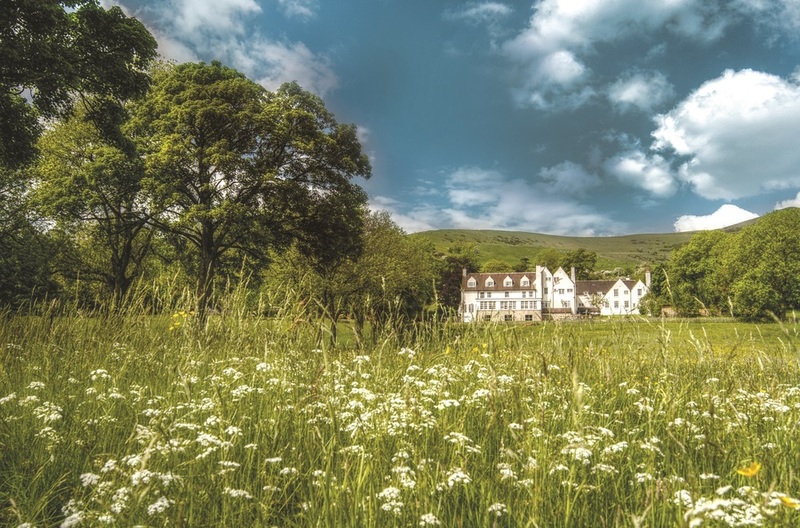 A luxury hotel Peak District stay is great for walkers, with plenty of cosy armchairs and warm beds to return to after a hike in the Derbyshire hills. The hotel also boasts a spa with treatment rooms if you really want to indulge yourself. Take a soak in a hot tub overlooking the rolling green hills, swim in the heated pool or enjoy a spa treatment. Losehill House is an arts and crafts style building with many original and artisan-designed features, giving this 4-star venue a real sense of character that complements its position in the historic and romantic Derbyshire area. One of the main appeals of Losehill House Hotel is its location deepset into Derbyshire’s green hills. The hotel makes much of its countryside vantage, offering views from the outdoor hot tub as well as panoramas over the scenic Hope Valley. The private dining room with huge bay window also offers stunning views. It’s also a popular wedding venue, so if you’re looking for inspiration for your own event it’s a relaxing way to do some wedding planning. Try combining a relaxing spa break at Losehill House with a trip to Chatsworth wedding fair to kickstart your wedding plans this February. It’s a quiet time of the year to enjoy the beautiful Peak District and attend the popular wedding event taking place only a few miles away. You’ll especially enjoy the drive to Chatsworth as it takes you through some of England’s best countryside. Why not have your wedding at the Losehill House Hotel? With all the inspiration from the Chatsworth wedding fair, why not consider the Losehill House Hotel for your wedding? With the stunning scenery of the Peak District, excellent facilities and a good amount of luxury alongside, the Losehill House could be the perfect place for your wedding venue.